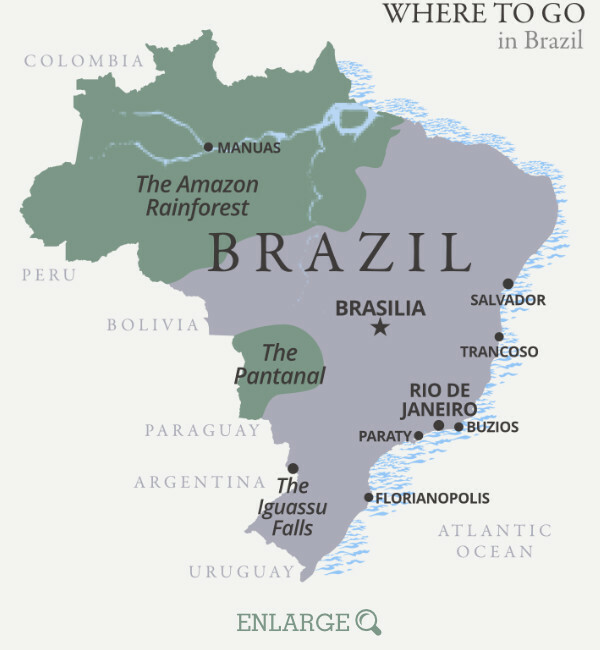 It's difficult to know where to start with a country as vast and as diverse as Brazil. Although many know of Rio's glorious setting and it's infamous beaches, what is the largest country in South America and the fifth-largest country in the world, has so much more to offer. There are few places which can combine such awe-inspiring landscapes, such vibrant cities, such exotic wildlife and such open and welcoming people, all at once. With a coastline which stretches from rugged sandy bays in the south, to wide tropical beaches in the North, with cities ranging from the winding sound-filled streets of Salvador to the wide avenues of Sao Paulo, and with natural destinations ranging from the dense depths of the Amazon Rainforest to the open wetlands of the Pantanal, each area reveals a different side to this captivating country. It is a land where everything seems larger than life, from the expansive landscapes, to the infectiously happy people and the extravagant Carnival processions which take over the country every year in February. 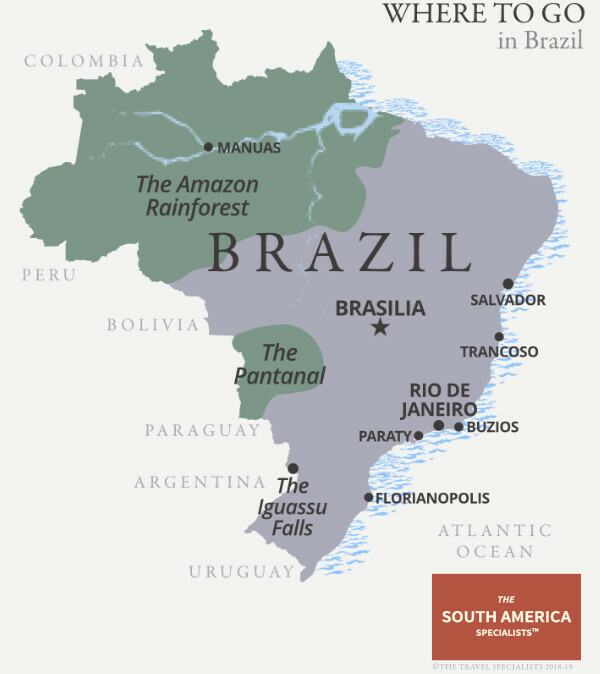 While you can combine parts of Brazil with almost any other country in South America, it is a destination in its own right and you could spend weeks visiting all of its four corners. As is true of all of South America, it’s worth bearing in mind that distances are immense and often getting from place to place can take two or three internal flights. We would therefore recommend settling on a couple of main areas that you want to visit in the interior and combine that with a few days on the beach at the end. For more inspiration, have a read through our guides to each of the main areas and get in touch if you would like to talk to us about putting together your ideal itinerary..